Leizhan high performance drum pulper is used for continuously pulping and coarse screening of waste paper. Leizhan drum pulper contains three sections: feeding section, pulping section and screening section. The high production capacity and low energy consumption makes Leizhan drum pulper the perfect choice for paper mill. 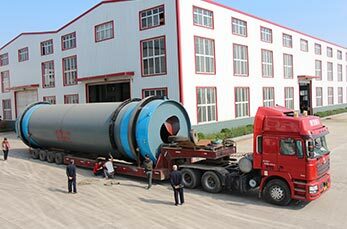 The raw materials like virgin pulp and watse paper are submerged in water in the feeding section, and then the wet waste paper will be entered into the pulping section for continuously gentle pulping. Afterwards, coarse screening and discharge impurities take place in the screening section. In this section, the impurities can be screened in a state of wholeness. 1.Leizhan drum pulper is mainly used for continuous gentle pulping and coarse screening of waste paper under high consistency. 2. Leizhan high efficiency drum pulper can gently pulp under 14%-18% high consistency to uttermost maintain the physical property of fiber. 3. Low damage to impurities and high efficiency of deslagging, which reduce the following equipment burden. 4. Low energy consumption, reduce running cost, improve the competitiveness for per ton pulp. 5. Long pulping residence time, sufficient fiber relief, low rate fine fiber loss. 6. Few quick-wear parts, continuous pulping, low maintenance cost.